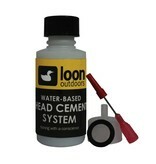 Description A thin, odorless, non-toxic water-based Head Cement with applicator system for precise applications. Never breathe toxic or smelly fumes again. 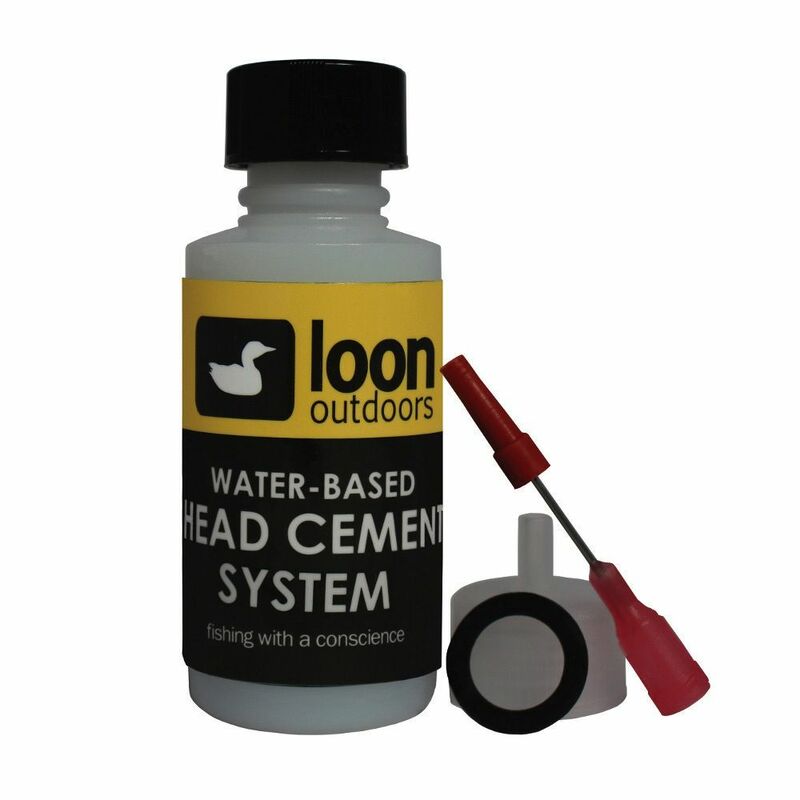 Features Thin head cement Dries clear Odor free Water based Includes Applicator brush System comes with applicator needle for precision tying Directions for use Attach applicator needle to bottle or use applicator brush on lid. Apply desired amount to fly with applicator needle or applicator brush. When finished, cover applicator needle with supplied cap or replace lid to resist drying of cement.